UFO SIGHTINGS DAILY: Collection of UFO Sightings By Streetcap1 Over The Years, Feb 23, 2017, Video, UFO Sighting News. Collection of UFO Sightings By Streetcap1 Over The Years, Feb 23, 2017, Video, UFO Sighting News. Here is a great collection of the best UFOs caught by Streetcap1 of Youtube. 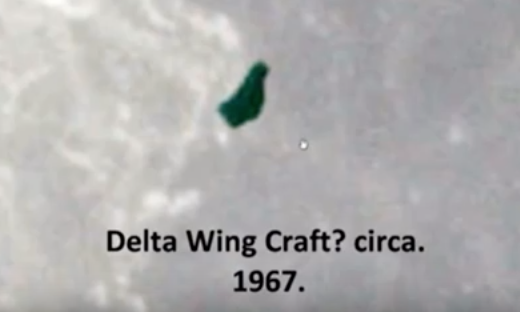 It has some very interesting sightings near the space station that have always gone unanswered by NASA. For some reason, NASA will not respond when asked about these UFOs near the space station and probably never will. To talk about it is to bring attention to it. Thats the opposite to what they want. They want you to ignore it, but thats not going to happen. This is a selection of ufos I have uploaded in the past. They had very little views and I feel that people need to see them. The final picture ( also thumbnail ) was uploaded a few years ago on a small video with a NASA link. Within 12 hours, the picture had been changed and a different photo of the moon, without huge object had replaced it. Of course I was accused of fraud by trolls as it did not show in the linked photo. I eventually removed the video. I am uploading a section of it today, it's up to you if you believe that an object this big, preceded the moon landings by two years. Streetcap1.